From Madagascar to Ecuador, John Walker’s fascinating career, first as an archaeologist and then as an anthropologist studying primate behavior, has allowed the transplanted native of Cleveland, Ohio to see a lot of the world. Late last spring, the world John was seeing began to change a bit. The brightness of the day began to fade, and his view of the horizon became blurry. Seeing well enough to drive after dark soon became a bit of an issue as well. “I wasn’t seeing as clearly at night anymore,” John reveals. “My night vision wasn’t terrible; I wasn’t at a point where I thought it was dangerous, but I started driving less and less at night. It just seemed easier to avoid it, especially if it was raining or something. “At first, I chalked that and everything else up to dry eye syndrome. I have had that problem for a while, and I thought that was probably the cause of the blurriness. I’m sure that was indeed part of the problem, but then I started to have trouble reading. The mounting problems left John thinking that his fading vision might be the result of an issue more serious than dry eye syndrome. Indeed, he had been warned of the likely development of such an issue three years earlier. During a routine eye examination performed by Nathan Emery, MD, at Pasadena Eye Center, John was told he had a cataract developing in his right eye. A year later, during another annual exam, John was told he had a cataract developing in his left eye. 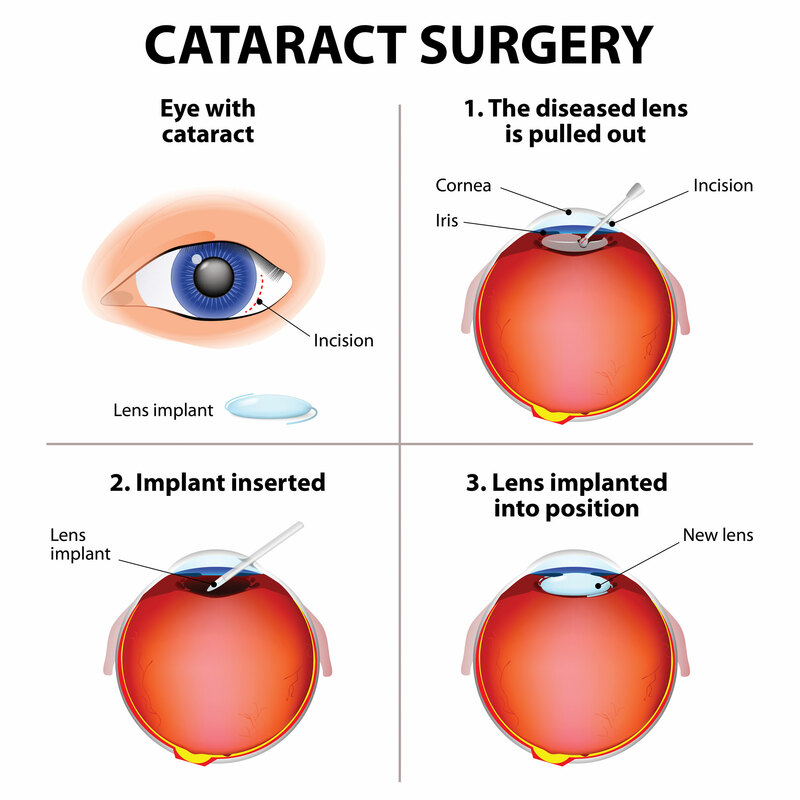 The development of cataracts is not uncommon. By the age of 65, more than 90 percent of all people will have developed a cataract. Meanwhile, more than half of all people between the ages of 75 and 85 have lost vision due to cataracts. 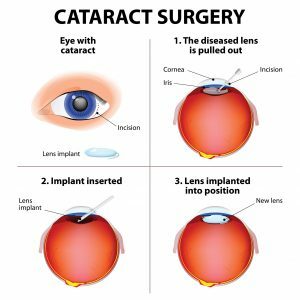 Though cataracts are most often a result of aging and the natural bonding of the protein that, along with water, makes up the eye’s lens, heavy smoking, diabetes and unprotected overexposure to the sun can also cause cataracts to develop. That development can begin many years before any symptoms are noticed, and while they do develop at different rates, they typically result in a clouding of the lens that leads to blurred vision, a reduction in the vibrancy of colors and poor night vision. 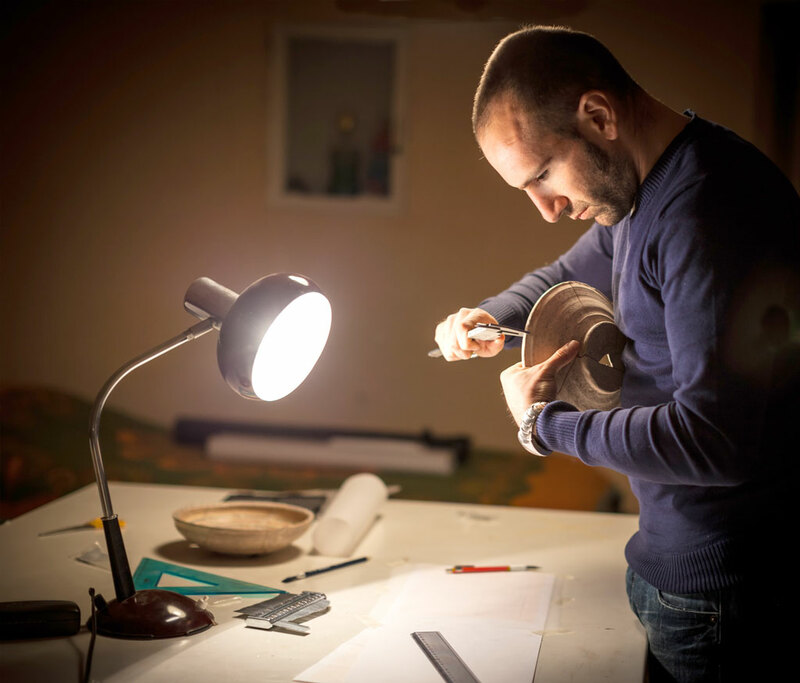 An increase in the glare caused by bright lights can also be a symptom of cataracts, a condition that can easily be corrected through an outpatient procedure in which the natural lens is removed and replaced with an artificial intraocular lens, or IOL. With a break of a week or two in between, physicians usually correct one eye at a time by using an ultrasonic device that breaks up the cloudy, natural lens. Once that old lens is removed, the intraocular lens is implanted, permanently correcting the vision. Dr. Emery at Pasadena Eye Center. “John’s situation followed the typical pattern for cataracts,” Dr. Emery explains. “They usually start out mild and then gradually, over time, progress to the point where patients notice several visual changes. Thanks to a number of technological advances, patients opting for surgery have several different forms of corrective intraocular lenses to choose from. Standard lenses, for example, are designed to correct farsightedness or nearsightedness, but they won’t correct an astigmatism or presbyopia, which is the need for reading glasses. Patients can also choose to have one eye corrected for distance vision while the other is corrected for near vision. This option is called monovision, which is also used as a corrective treatment with patients who choose to wear contact lenses instead of glasses. Finally, there are multifocal lenses. Considered the gold standard in intraocular lenses, multifocal lenses can correct farsightedness, nearsightedness, astigmatism and presbyopia, thereby eliminating the need for glasses of any kind. “After discussing all the options with John, he thought the multifocal lenses made the most sense for him,” Dr. Emery notes. “We then decided to go with the Symfony® lens, which is one of the latest to come out and has some big adv aantages over the other multifocals. Improved vision in all aspects is not the only advantage of the Symfony lens. John’s new lenses include a toric component similar to that used in eyeglasses and contact lenses that corrects astigmatism. John began to notice the benefits of his new lenses almost immediately. “First of all, there was no pain associated with the procedure whatsoever,” informs John, who had his right eye corrected first this past January and returned two weeks later to have the left eye corrected. “All I felt was a slight bit of pressure. “And then, just like that, the procedure was over. I think the whole thing took about fifteen minutes per eye. Afterward, there are some eye drops that you need to take, but that’s it, and your vision starts to come back relatively quickly. John has been a patient of Dr. Emery for several years and says he has often recommended him to friends and family members looking for eye care. Following his cataract surgeries, John says he rates Dr. Emery and the entire staff at Pasadena Eye Center as excellent.